Don’t just take my word for it, this startling news comes from a study carried out by researchers at the Stanford University School of Medicine. They found Doctors across the US are still prescribing higher-dose menopausal hormone therapy pills, despite clinical evidence that low doses and skin patches work just as well and carry fewer health risks. HRT has become an established ‘treatment’ for menopause symptoms and in the United States last year, formulations of estrogen and progestin hormones were given to more than 6 million women who had symptoms such as hot flashes, sleep disturbance and irritability. The serious risks flagged up by the massive clinical trial by the Women’s Health Initiative ought to have been clear. They tested the higher-dose, oral estrogen-plus-progestin therapy and had to halt the trial because of the increased incidence of breast cancer and cardiovascular disease in women taking the hormones. That was in 2002 and since that trial there has been increasing and continuing evidence indicating that a lower dose of hormones can treat menopausal symptoms just as effectively in many women with minimal side effects. The latest findings from Stanford researchers show that as of 2009, physicians’ practices weren’t keeping up with this clinical evidence about lower hormone doses, which the U.S. Food and Drug Administration recommends. Sandra Tsai, MD, MPH, clinical instructor of medicine and lead author of the new study was very clear that these lower doses may incur lower risks of breast cancer and cardiovascular disease and that about two-thirds of women with menopausal symptoms are likely to respond to low-dose therapy. Sadly the researchers found that not even one-third of the women taking hormone therapy in 2009 were on a low dose. The researchers had also expected that for women who needed treatment for menopausal symptoms, physicians would start prescribing hormone therapy during or just after menopause more often. The data, however, showed that in 2009 the preponderance of women on the drugs were older, and thus at greater risk for adverse effects. 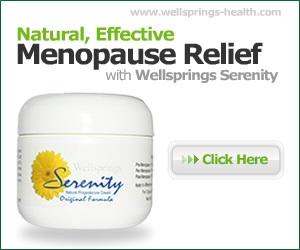 They avoided reaching a conclusion about why clinical practice has not caught up with research findings, but may I suggest that women heed the advice of the late John Lee, MD and start being proactive about their menopausal healthcare by turning to natural rather than synthetic forms of HRT for symptom relief.